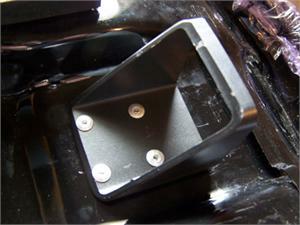 Optional seat latch bracket that will make the reproduction seat fit on all trail-70’s. Our aftermarket seats are awesome but they were designed to fit the clone bikes not the originals. So Trailbuddy has designed and manufactured a seat bracket that will mount onto our aftermarket seats but will still use your original interior Honda seat latch. This is only needed for TB001 seat. If the seat bracket is purchased at the same time as a Trailbuddy seat, we will install the bracket onto the seat prior to shipment, except for the TB004 Swoop Seat.